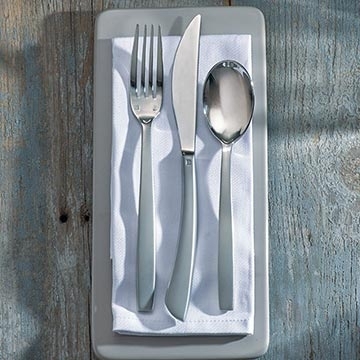 Cardinal's Chef & Sommelier Kya Sand flatware pattern is perfect for any contemporary atmosphere. The pieces in this pattern feature an exquisite, mirror finish top and a subtle sand handle for exceptional elegance and grace. Also, the handles offer a sleek feel while the edges are squared, yet smooth.